Rewind to about 125 years ago and a vastly different picture of labour safety emerges. What was then largely an agricultural economy, was moving swiftly into the industrial age, especially in South Africa (SA), which was experiencing the gold mining boom. The machinery that underpinned a new era of economic growth and productivity, was bigger, faster and more dangerous. As a result, employees were being injured and losing their lives in ever-increasing numbers. This compelled companies to take remedial action. Legislation, safety guidelines and policies were implemented, which significantly altered how workplace safety was approached. Since then, gains in health and safety in the workplace have been significant. Death rates on mines, specifically, have dropped steadily since 1993 when 615 miners died in the pits. According to Chamber of Mines data, by 2009 the number had dropped to 167. This figure has declined consistently since then, reaching a record low of 73 in 2016. Fast-forward to 2017 and the number of fatalities on mines increased to 76. This is a worrying trend and could compel renewed investor concern over mine safety, which may prompt increased shaft inspections and result in costly production stoppages. From an injury perspective, many organisations report the same injuries year after year: back and eye injuries, burns and fractures due to slips, trips and falls. It is estimated that these injuries result in an average of 11 days away from work. Of all safety measures, training and continued awareness are the most challenging to instill in employees because they rely heavily on the staff members’ ability to learn, understand and comprehend safety measures. It also requires the employee to buy into the safety culture of a company. It seems apparent that the delivery of training is only a part of the answer. How the training is delivered is of equal importance. It is here that significant strides are being made, especially in the age of the Internet of Things. The first advance is termed ‘bite-sized learning’ and is defined as the process of developing information on a single topic, and delivering it in a punchy and memorable way. This methodology avoids information overload and ensures employees retain the most pertinent information. Breaking down key points to small ‘bite-sized’ chunks, anywhere from between one to five minutes, helps keep the employee engaged and interested, and most importantly, helps them to remember what is being imparted. A further development in safety training is closely linked to the rapid growth of technology. The concept of gamification applies game mechanics to the design of learning to improve employee engagement and information recall. This can take the form of video games, games of chance or team challenges. The widespread use of smart mobile devices allows the employee to learn anywhere, anytime. In addition, employees do not have to take part in long, drawn-out training sessions that result in unproductive downtime. A third development that is expected to impact the health and safety industry significantly is Artificial Intelligence (AI). 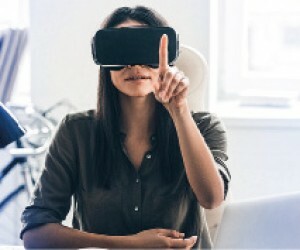 By way of example, a leading consumer electronics organisation in SA introduced on-the-job training for would-be air conditioning technicians by equipping them with virtual reality headgear. When arriving on site, the trainee technician ‘tunes in’ to the control room, operated by an experienced manager, and is guided through the process in real-time and additionally steering clear of any possible workplace injury. This immense stride in training has displayed multiple benefits: that of ensuring the all-important transfer of skills, avoiding injury and costly, unproductive time spent behind a desk in training sessions. While training of employees in health and safety measures remains imperative, of equal importance is organisational buy-in to the supply of top-quality personal protective equipement (PPE) gear. Once again, we see technology playing a vital role in improving the efficacy and comfort of today’s PPE garments. The need to invest in good PPE cannot be stressed enough. Unfortunately, many organisations choose to skimp on PPE, which can have devastating outcomes for employees and the business. This mentality is cause for concern, especially considering the numerous local and international drives to create safe working environments. Business owners need to alter their perception of PPE as a grudge purchase and embrace the notion that they are investing in employee and company safety. Poor-quality PPE can impact output and profitability. It is well known that employees, who experience extreme discomfort, will reject inadequate garments and equipment. Accidents due to the use of poor PPE or not using supplied PPE can result in downtime at plants, which has a direct impact on productivity and the company’s bottom line. Advances in PPE are ongoing, with new fabrics and materials being developed to provide the ultimate protection for people working in extreme conditions. Comfort is an important consideration when developing products that incorporate the latest innovations and offer ease-of-wear and mobility. Safety officers need to keep abreast of global trends in PPE advances. By doing so, they ensure their employees are offered the best protection for their specific circumstances. When it comes to the correct protective attire, there is no ‘one size fits all’. A garment that is too large or too small is unacceptable. Does the garment allow the worker to perform the job function without difficulty? Does it allow a full range of motion without being restrictive or at risk of tearing? It is important for employees to try on the garments to ensure the perfect fit. Weight and flexibility are important because they impact the wearer’s range of motion and extent of job fatigue. While lightweight, limited-use protective apparel offers obvious advantages over recyclable garments, lightweight fabrics must also be strong enough to withstand the rigours of the workplace. Will the clothing be comfortable in all seasons? Do they allow enough airflow to prevent heat stress? To an employee, the aesthetic comfort of a protective garment can be as important as its physiological comfort. This is important to keep in mind when selecting protective gear. If our employees are indeed one of our best assets, then surely their comfort and ability to operate in the workplace requires the utmost consideration. This means that adopting optimal workplace safety training measures and equipping them with the best PPE to do their jobs safely and efficiently is not up for debate.